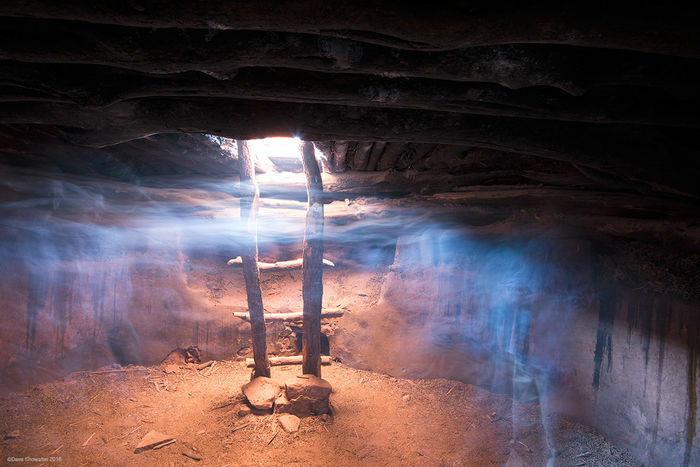 Ancient Puebloans, or Anasazi occupied southern Utah’s canyons for roughly 13,000 years, used kivas for ceremonies (mostly male) and sometimes habitation. Perfect Kiva is the one structure that visitors are encouraged to enter and is spectacular. Descending the ladder into the dusty confines, much warmer than above, I could feel a presence. So, I asked our friends on this backpacking adventure to move about during a long exposure to capture some of what I was feeling in this extraordinary place. Perfect Kiva is high in a drainage, beneath an alcove above Bullet Canyon. Posted in Colorado Plateau on May 6, 2016 May 6, 2016 by Dave Showalter. Posted in Colorado Plateau on May 1, 2015 May 1, 2015 by Dave Showalter. Sunrise paints North Window and Turret Arch in gold one spring morning. 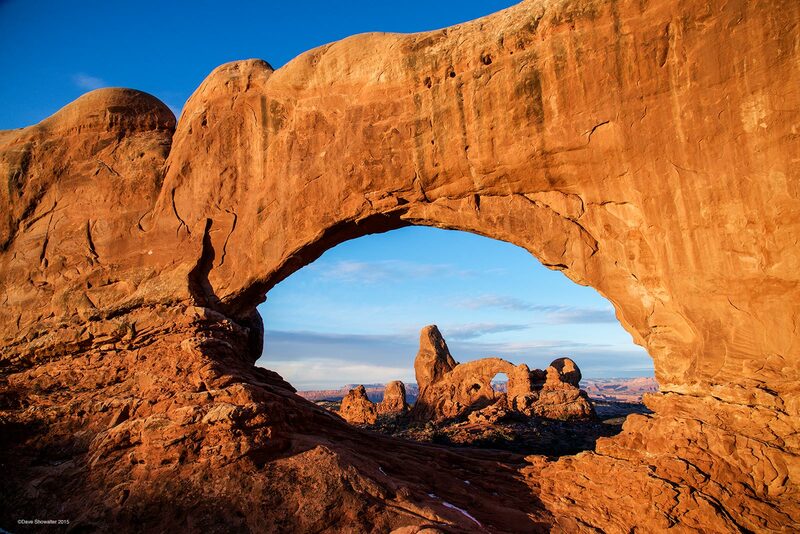 Arches National Park in home to the highest concentration of natural arches in the world. Posted in Colorado Plateau on February 27, 2015 April 10, 2015 by Dave Showalter.